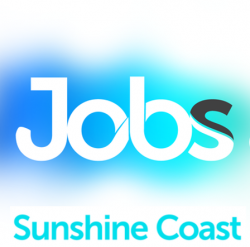 MULTIPLE POSITIONS AVAILABLE, for IMMEDIATE START on the SUNSHINE COAST! Residential Youth & Disability Workers Wanted. SCSS has a number of paid positions available for people that are interested in supporting youth in a residential care environment and have an interest in disability support and child safety. SCSS provides services to support people within our community that live with various disabilities and mental health. WHAT IS SCSS LOOKING FOR? A person that is passionate about making a real difference in people’s lives and strives on helping others. Someone that enjoys working with variety of different challenges in their day-to-day. These positions will mainly involve supporting in a residential care environment and the options of additional support hours in our disability support programs. Due to the nature of this position applicants need to be willing to undertake personal development to meet the requirements of these positions. Flexibility across a 7 day/night roster, which includes shift work, periodic weekend, public holidays, night shifts & overnight sleepovers. Residential Care and Disability experience or working in community services, is highly regarded. Flexibility to support across multiple programs, is also desirable. Understanding or ability to gain knowledge about trauma based behaviours. Working with complex and challenging behaviours. A requirement prior to commencement, is eligibility to apply for or currently hold the below: (these are to be maintained at your own expense). If this role interests you and you would like to be part of a new, exciting team, then get the ball rolling and apply now! Job Categories: Social Assistance. Job Types: Part-Time. Occupation: Community and Personal Service. Job expires in 11 days.